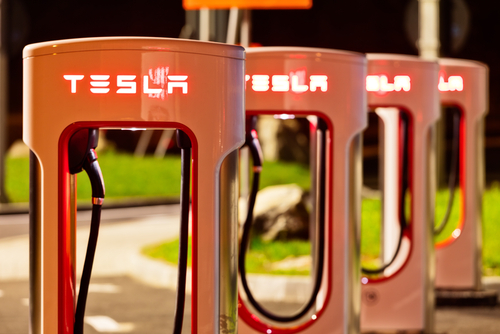 Tesla Inc. (NASDAQ: TSLA) may face increased competition in the rechargeable battery field. Currently Tesla is a leader in battery technology. The Tesla Gigafactory 1 is a lithium-ion battery factory under construction in Nevada. The factory started limited production of Tesla products such Powerwalls and Powerpacks earlier in 2016, and has begun mass production of cells in January 2017. Nevada Governor Brian Sandoval estimated that his state could enjoy $100 billion in economic benefits over two decades from the factory’s operations. While Tesla’s pursuit to dominate the field is impressive, experts now claim that the innovative company is likely to face serious competition. A report published in June by Bloomberg Intelligence indicated that Chinese companies have plans for additional factories with strong capacity. The planned Chinese factories expected to pump out more than 120 gigawatt-hours a year by 2021, which is enough to supply batteries for around 1.5 million Tesla Model S vehicles or 13.7 million Toyota Prius Plug-in Hybrids per year, according to Bloomberg New Energy Finance. In addition, German manufacturers led by Frankfurt-based start-up TerraE Holding GmbH are also planning to establish a 34-watt-hour lithium-ion battery cell production facilities, which will be Germany's own version of Tesla’s Gigafactory. Tesla’s lead in the field, and their strategic partnership with Panasonic on battery production, has been effective. But as the other countries and manufacturers catch-up, Tesla’s market share in the industry is expected to shrink.